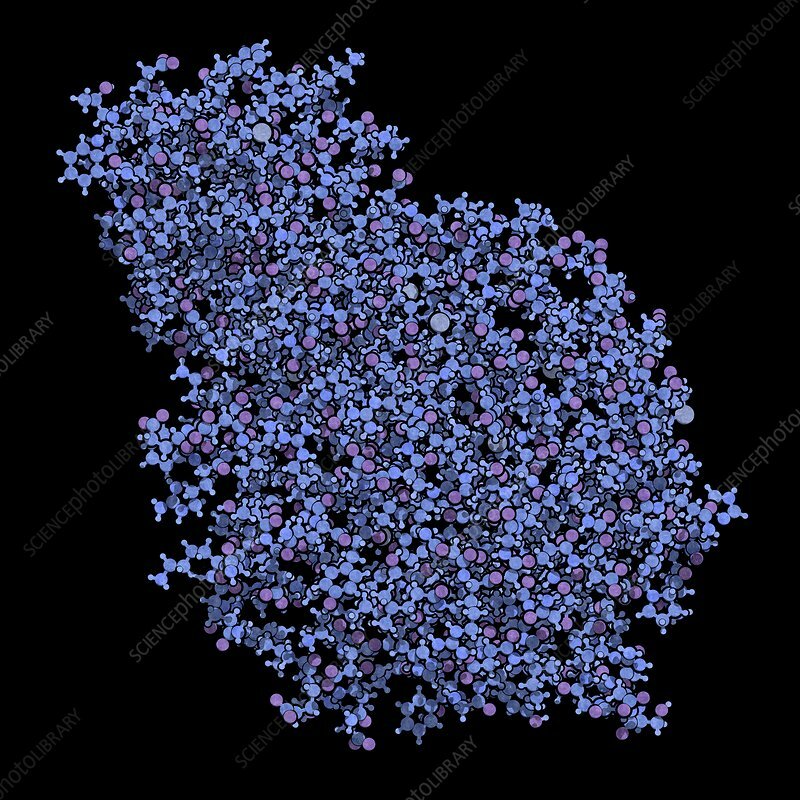 Alpha-galactosidase (Agalsidase) enzyme. Cause of Fabry's disease. Administered as enzyme replacement therapy. Ball-and-stick model.